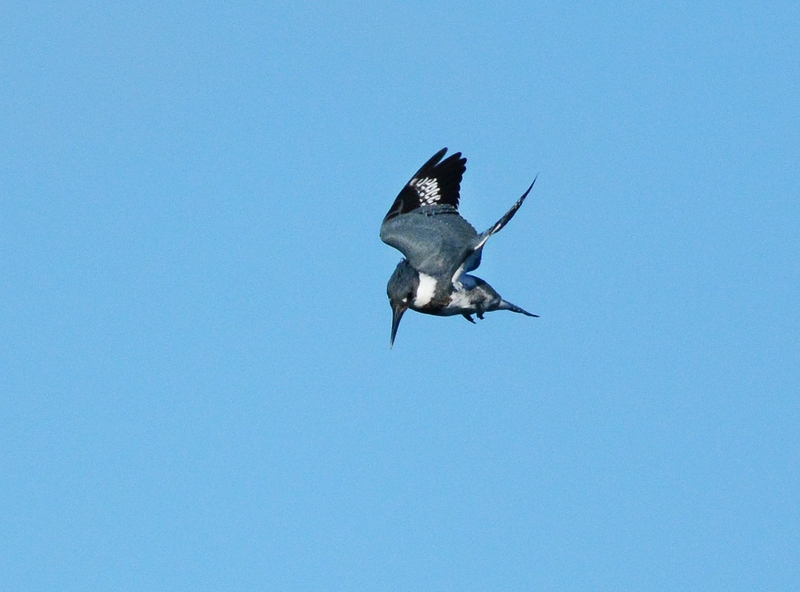 The kingfisher was 7 houses down sitting on a sailboat mast. Ibis on the dock at the same house. Great blue heron preening on my neighbor’s dock. He’s been coming around a lot lately. I call him Grumpy face. 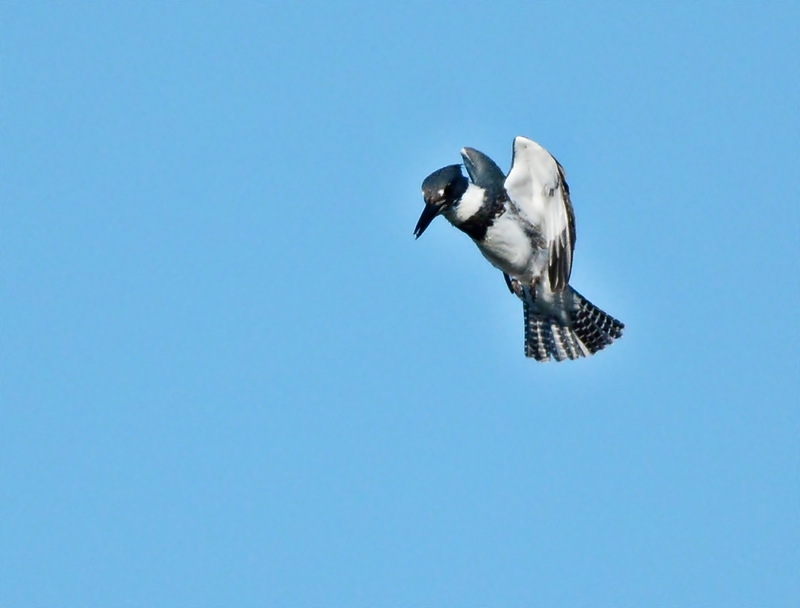 I walked out on my dock one afternoon and scared the hooded mergansers. I didn’t realize they were floating around next to it. They were heading down the channel, keeping an eye on me. Sitting on my neighbor’s dock post, the kingfisher was showing off his snack. I know he can see me through the bedroom window. Just a few visitors to our corner of the world during January. 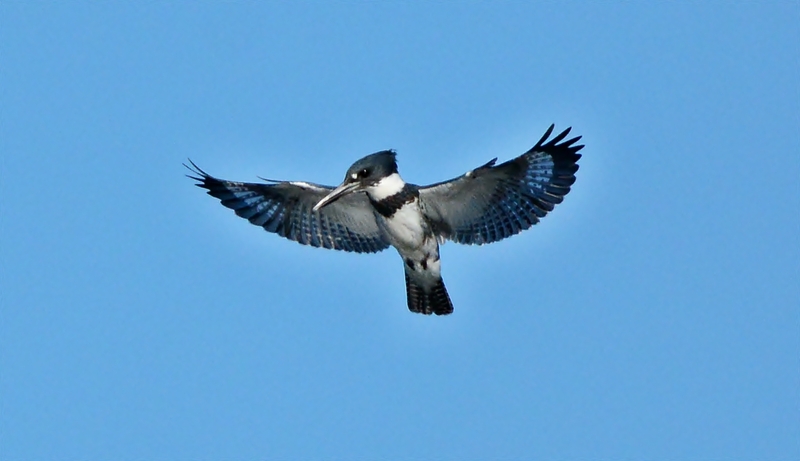 Standing on the edge of the lake watching an osprey go by, I saw a belted kingfisher out of the corner of my eye and was able to catch him. Several times he whizzed by. 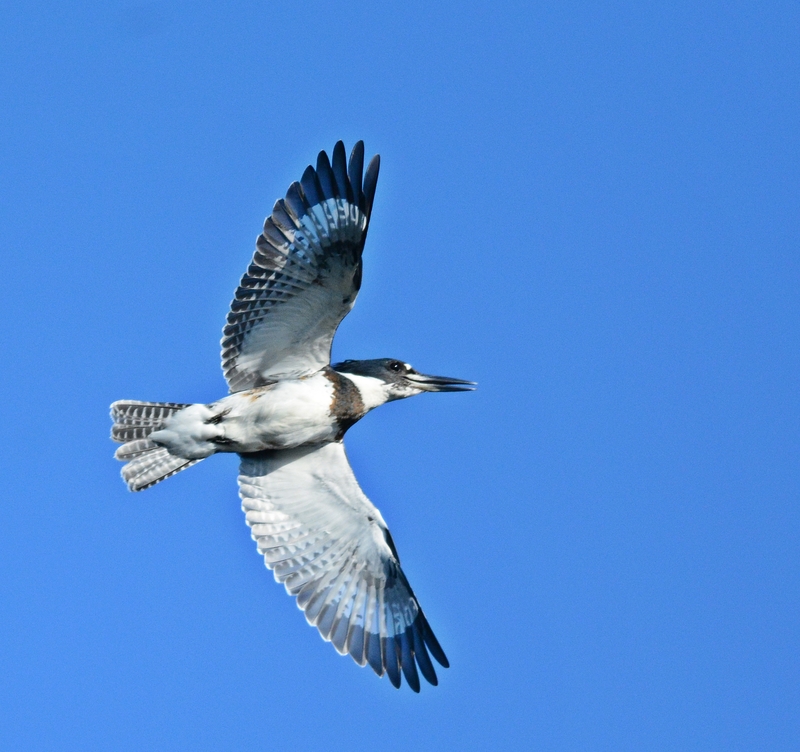 Male kingfishers have an all white stomach. Female ones have a rust color stripe across their stomach. 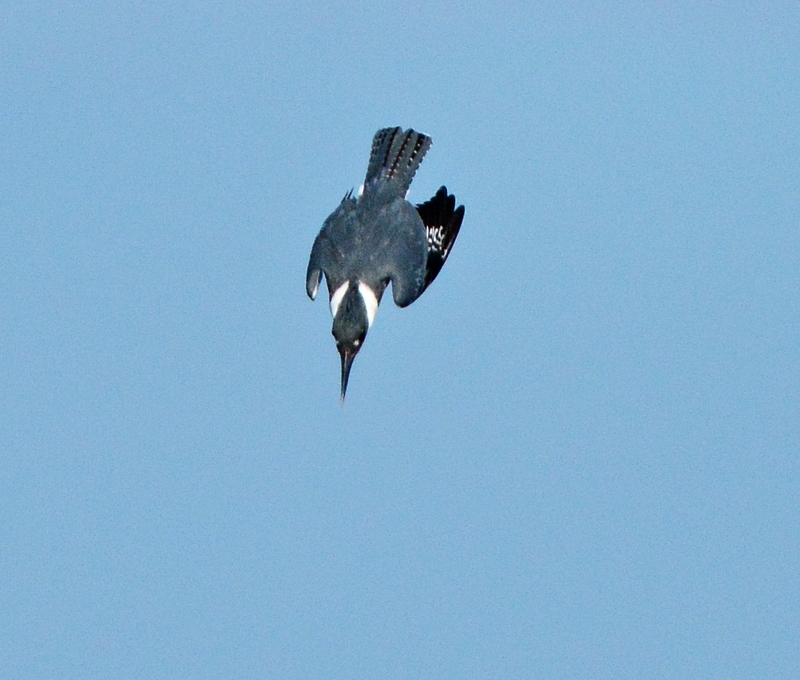 He flew far out in the middle of the lake and was hovering. Down he goes in a deep dive. He hit the water but did not come up with a fish. He flew around and came back, hovering again. 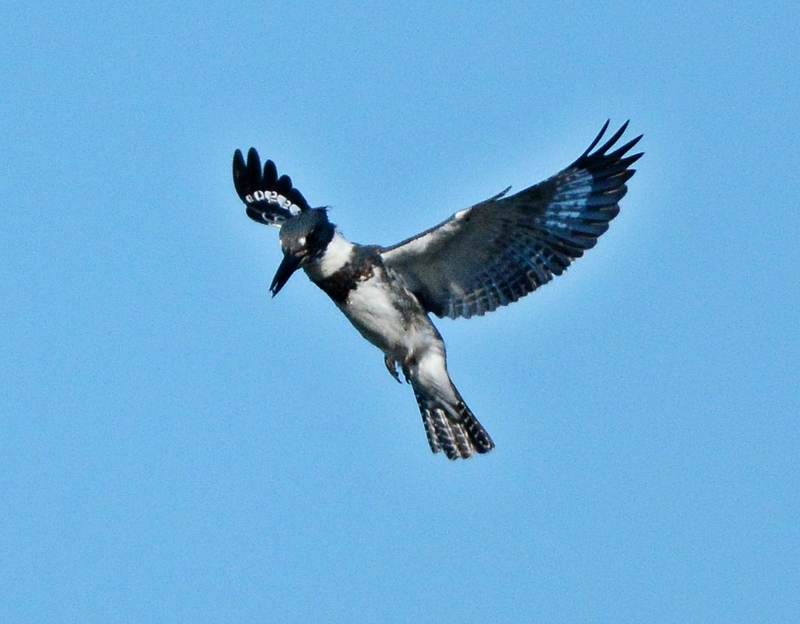 He hovered for a few minutes then took off over the trees. That was the last I saw of him that morning. 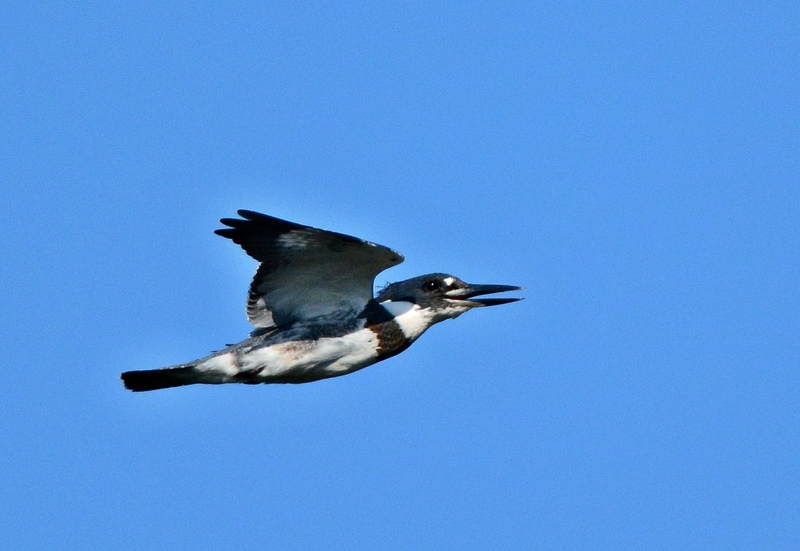 Kingfishers are “snow” birds down here. They only stay for the winter and then head back north to have their babies in the summer. I started seeing them in early October. Every winter we have one that visits our dock a couple of times. I haven’t seen her yet but it’s still early. They have a very distinctive voice but are very skittish.